Mobile operator O2 UK has today announced that they’ve begun a new pilot with Nokia in parts of London (i.e. Kings Cross and Marble Arch), which will test Massive MIMO (multiple input, multiple output) technology as a way of helping to improve Mobile Broadband speeds in preparation for future 5G services. In simple terms Massive MIMO technology uses multiple antennae to send and receive data more efficiently to lots of users. The enhancement forms part of what we expect to see from future deployments of 5G mobile technology, although it can also be made to work with existing 4G networks and this seems to be how O2 are piloting it. In that sense we wouldn’t call it a “5G trial“, as some others have done, but it’s definitely a stepping stone. Unfortunately O2 hasn’t provided any technical information to help explain how their pilot is setup, although we do know that it’s operating within their existing 4G orientated 2.3GHz radio spectrum band. Earlier this year they splurged £206m to become the only UK mobile operator with access to a 40MHz chunk of the 2.3GHz band (here), which is already helping to boost their Mobile Broadband speeds in busy urban areas (here). “We recognise that customers’ need for mobile data in London and other urban areas continues to grow at a rapid pace. This is why we are working with Nokia to trial Massive MIMO and to explore the opportunities to provide the increased capacity and denser coverage for our customers, in the areas they need it most. 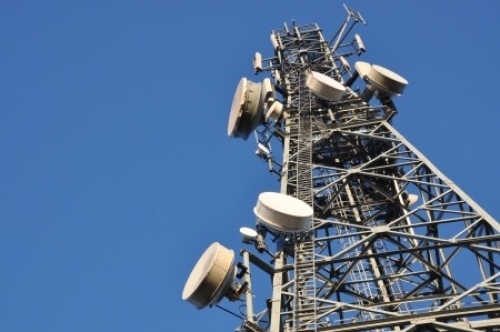 The operator will now evaluate the Massive MIMO pilot with a view to potentially deploying the technology elsewhere in London and beyond to enhance connectivity. At present O2 claims that their existing network can provide 98% indoor 4G coverage and 90% geographical landmass mass coverage across the UK. They’re also investing over £2 million per day on upgrades and maintenance. Good to see they are making investment, there network is severely lacking in some locations, in Guildford centre outside with full 4G signal speed test shows at best 1Mbps, this is testing on different occasions with different devices with different speed test servers. Same tests outside town with 4G I can get 20-30Mbps. Hopefully they continue to invest in places outside London and other major cities. Saying they have 98% 4G coverage is great but not when its sometimes unusable. Sigh, the same in Exeter. I’m on hold at the moment trying to get shot of O2 because that network is utterly terrible – unless you want internet at 3 in the morning when it performs just fine. Not sure anything can save O2 at this point. They need to be bought out by one of the other networks so that their combined spectrum is enough to take on EE. Shame Three was blocked from buying them. Although to be fair Three wouldn’t be able to save O2 as they can’t even manage to run their own network well. So that means O2 and Vodafone need to merge. The main problem with Three is that they don’t allow non-Three-bought-devices to access VoLTE, meaning that whilst you may have data (800MHZ) you may not have voice/text (2100MHZ).